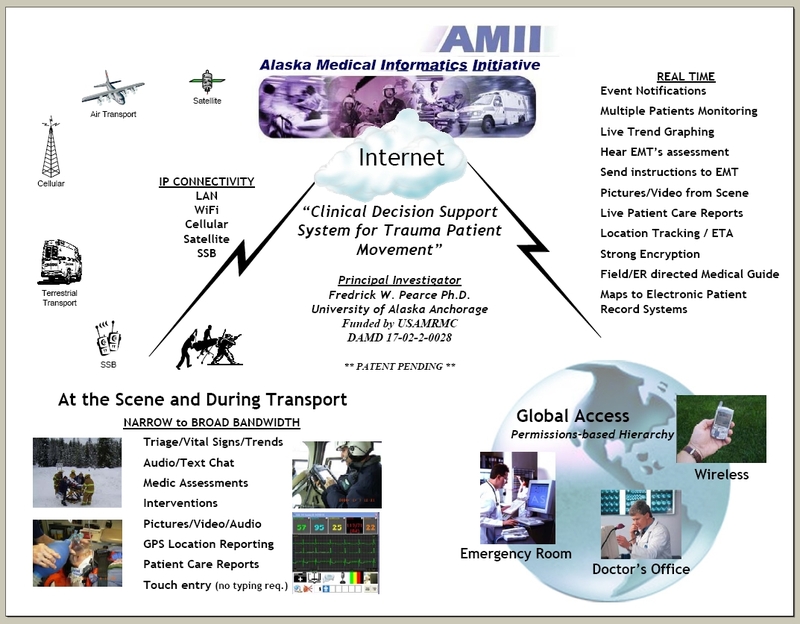 The Alaska Medical Informatics Initiative (AMII) is a Department of Defense funded research and demonstration project awarded to Frederick W. Pearce PhD as the principal investigator at the University of Alaska Anchorage. It was designed to study the effective use of medical informatics decision support advances (information technologies) and wireless telecommunications in first responder settings. The basic AMII research question is: can moving biomedical information during emergency medical evacuations increase the chances of a positive health outcome for trauma victims? (3) narrow bandwidth telecommunications environments to link casualty sensor data to first responder for emergency triage and initial casualty care. 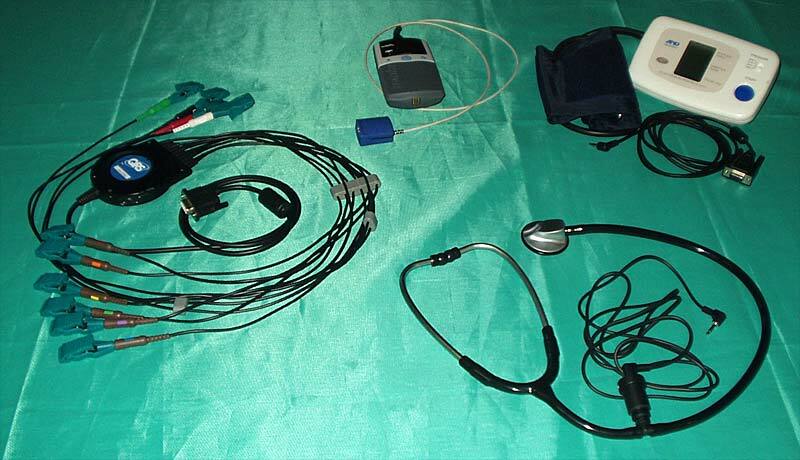 Research to determine the requirements of a system to provide medical telemetry of critical patient data from the scene of the trauma to the emergency room. Locate, evaluate and select existing Commerical-Off-The-Shelf (COTS) hardware. Interface with the Principal Investigator to develop and maintain work team tasks. Assemble and coordinate efforts of the design team between Alaska and Montana, which consisted of 3 subcontractors plus the University of Alaska Anchorage Applied Science Lab . Coordinate and schedule work team tasks between the different organizations. Manage the development and roll out of the system in logical phases for test and demonstration. The system was to be developed as both platform and sensor neutral to take advantage of Consumer-off-the-Shelf equipment. As a team, we integrated biometric sensors with a custom software application, to be used in the field, and a web based appication for the emergency room. The system also integrated multiple communications technologies for the delivery of patient data, through the internet, including LAN, WiFi, Cellular, and Satellite Phone. The system was successfully demonstrated several times to different medical providers, with one demonstration running over a 3 day period simulating different trauma situations in a very remote part of Montana. The simulations involved healthy volunteers participating as patients in different trauma scenario's requiring transportation to the emergency room by both ambulance and helicopter.